Bananas are popular fruits that come from an herbaceous plant belonging to the Musa family of plants. Although bananas are native to Southeast Asia and Australia, today they are cultivated in at least 107 countries throughout the world (8), (4). There are two classifications of bananas: the dessert banana and the cooking banana. Dessert bananas are typically soft and yellow and can be eaten raw when they are ripe. 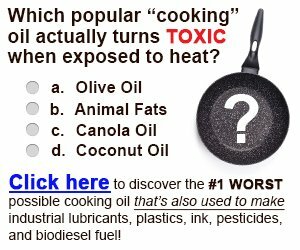 Cooking bananas are green, firm, and usually not eaten raw. The banana plant can grow to approximately 8 meters and has large leaves that can be as wide as 60 centimeters and 3 meters long. Banana plants can usually become quite large and are often mistaken for trees. The stem of the plant is referred to as a pseudostem (fake stem) that can grow between 2 to 8 meters. 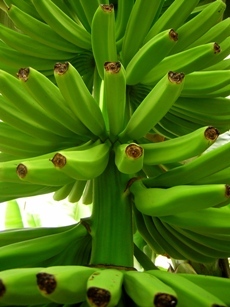 The plant can have more than one pseudostem that produces green, yellow, or red bananas. 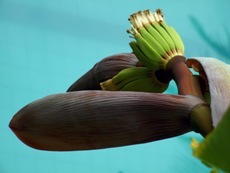 Bananas plants are quite stable because when one pseudostem dies another one replaces it. Banana plants are mainly cultivated for its fruit, which is usually soft, sweet, and eaten raw. Bananas however belong to a group of cultivars that can produce firm and even more starchy fruits called plantains. Plantains are usually cooked before they are eaten because of their firm texture and typically bland taste (5). 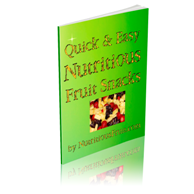 In addition to raw bananas, dried bananas are also a popular snack food. One popular form of dried bananas is banana chips. Dried bananas can also be ground into banana flour that can be used for baking. Banana plants are quite often used to shade gardens and other crops. Banana crops are also grown in or near gardens to hinder the growth of weeds. Bananas plants are stable plants that are easy to grow and produce large amounts of fruits once they start to bear. Dwarf banana plants can also be grown in gardens, which are usually more resistant to disease than the larger variety and more wind-tolerant. Farmers and breeders have been feeding bananas, stems, and psuedostems to pigs, horses, and cattle for years. However, care is usually taken in making sure that the bananas and stems given to cattle have been grown in the absence of toxic pesticides. Cooked or raw green, yellow, ripe, and half-ripe bananas were consumed many years ago in the Pacific islands during the famine and are currently the largest source of consumed calories in the world (1). Wine, beer, liquor, and vinegar can be produced from bananas. This was more popular years ago, but French Polynesians still produce vinegar from bananas in small portions. 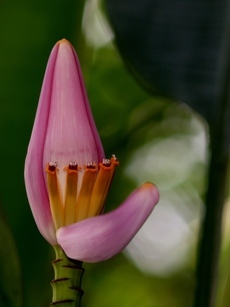 In the Philippines as well as Hawaii, the small male flowers of Saba and Dippig varieties are typically cooked and eaten. The bud itself can also be eaten as a vegetable, but it must be boiled and the water changed several times to get rid of the bitter taste. In Hawaii, male flowers from the Popoulu, Maoli, and Iholena varieties produce a thick, jelly-like nectar that is often fed to babies. Bananas are often added to cakes, yogurt, pudding, and bread and as previously stated can be ground into banana flour. In India, the ashes from burnt banana leaves and pseudostems are added to curries and used as a substitute for salt. In the Pacific, banana trunks are used to line the bottom of ovens and thus provide steam when cooking. Many varieties of bananas are used as ornamental structures in backyards, front lawns, or on larger landscapes like resorts. Popular ornamental banana plants include Fuzzy pink, Hot pink, Ornata, Zebrina, Rojo red, Variegated red, and Okinawa torch. In addition, banana leaves and plant fibers are used in many countries such as Hawaii and Taiwan to make string, cordage, thread, and cloth and often woven into beautiful hats, bags, and baskets (7). Bananas contain dietary fiber as well as vitamins A, alpha carotene, beta carotene, lutein, zeaxanthin, vitamins C, E, K, B6, B12, niacin, riboflavin, thiamin, folate, pantothenic acid, betaine, and choline. Minerals such as calcium, magnesium, iron, phosphorus, sodium, potassium, zinc, manganese, fluoride, copper, and selenium are also found in bananas. The large amounts of provitamin A and carotenoids that are contained in yellow and orange colored bananas play a role in iron metabolism and have been shown to prevent vitamin A deficiencies and anemia (2). Carotenoids may also prevent diabetes, the development of certain cancers, and heart disease. Recently certain varieties of bananas have been shown to contain higher levels of carotenoids like beta-carotene than other varieties. For example beta-carotene levels in 100 grams of Fei bananas can be as high as 8500 micrograms. Another variety called Sucrier (Kudud) contains 315 micrograms of beta-carotene per 100 grams. The beta-carotene levels found in the Sucrier variety is 10 times higher than that which is found in the more popular Cavendish banana. The Cavendish banana only has 21 micrograms of beta-carotene per 100 grams (3). 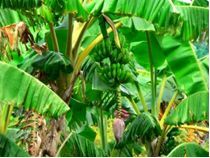 Nowadays, the flowers, fruits, roots, and stems of banana plants are still used by Pacific cultures as medicinal remedies for many ailments, but its use as an herbal treatment is not as accepted as it used to be. In Hawaii, the stalks were usually crushed and used as a poultice to treat broken bones and sprains. The root sap of specific varieties was also used to treat thrush, an infection of the mouth that typically affects children and infants. The root sap was also used by French Polynesians as a skin wart treatment. Pacific cultures even used banana leaves as bandages because they were believed to have antibiotic properties. Banana flavonoids fed to rats decreased oxidation while increasing essential antioxidants (8). Extracts from bananas were shown in laboratory tests to protect brain neuronal cells from oxidative stress, indicating that eating bananas may reduce the risk of Alzheimer’s disease and other neurodegenerative disorders (6). This preliminary evidence suggests that we should eat a banana daily. de Langhe E. (1995) Banana and Plantain: the Earliest Fruit Crops? INIBAP Annual Report Montpellier, France. Englberger L, Darnton-Hill I, Coyne MH, Fitzgerald T, Marks GC. (2003) Carotenoid- rich bananas: a potential food source for alleviating vitamin A deficiency. Food and Nutrition Bulletin, 24(4): 303–318. Englberger L. (2003) Carotenoid-rich bananas in Micronesia. InfoMusa, 12(2): 2–5. Gowan S. (1995) Bananas and Plantains. Chapman and Hall, London. Heo HJ, Choi SJ, Choi SG, Shin DH, Lee JM, Lee CY. 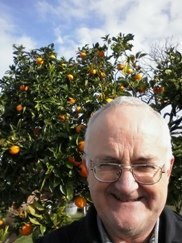 (2008) Effects of banana, orange, and apple on oxidative stress-induced neurotoxicity in PC12 cells. Journal of Food Science, 73(2):H28-32. Lessard WO (1992) The Complete Book of Bananas. W.O. Lessard, Homestead, Florida. Vijayakumar S, Presannakumar G, Vijayalakshmi NR. (2008) Antioxidant activity of banana flavonoids. 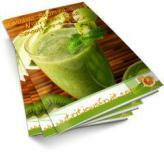 Fitoterapia, E-pub.